Do you celebrate Thanksgiving Day with the tradition of deep frying a turkey? 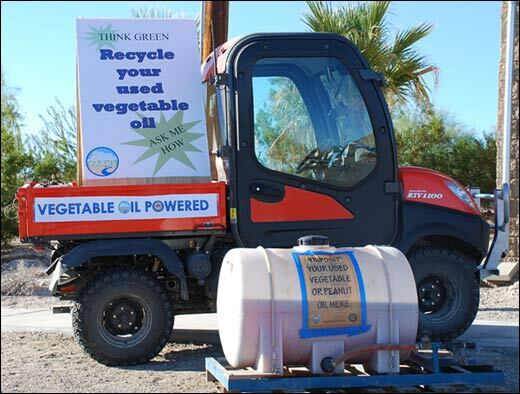 If so, you can recycle your used vegetable oil by dropping the container off at the Discovery Center on Ranger Station Road. Maintenance staff will pick up and properly handle the oil. 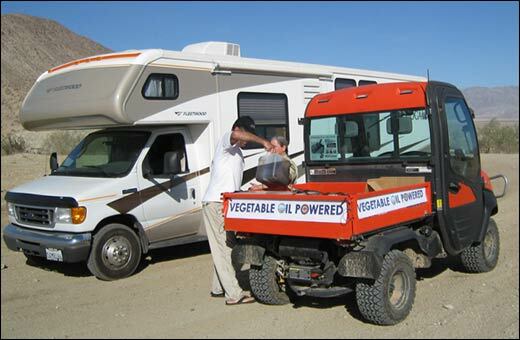 They may even use it to power a retrofitted Kubota! 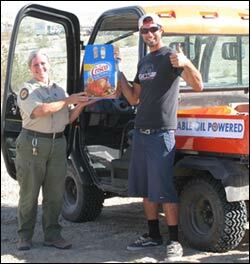 Other recyclables can be mixed with regular trash and deposited in Ocotillo Wells dumpsters. This trash is taken to a mixed-waste processing facility where equipment and workers separate paper, glass, plastic, metal and other recyclable items so you don't have to sort them.